In 1959, Peter Tripp, a popular New York DJ, pledged to stay awake for 200 hours for charity while continuing to host his radio show. Studies into sleep deprivation were rare at the time so no one knew what to expect. This made it a major event, not only for Tripp’s millions of listeners, but also for the scientific community. The subsequent impact of the “wakeathon” on Tripp’s mind was far more dramatic than anyone had expected. The personality of a man normally described as cheerful and upbeat appeared to significantly change as time went by. By the third day he had become highly irritable, cursing and insulting even his closest friends. Towards the end of his endeavour, he began to hallucinate and exhibit paranoid behaviours. But despite the concerns of the doctors monitoring him (and with the help of the stimulants they gave him), he persisted and finally went to bed after 201 hours of continuous wake time. Modern laboratory studies have replicated some of the behaviours seen in Tripp as a consequence of sleep loss. Sleep deprivation or prolonged restricted sleep results in increasing irritability, worsening mood, and feelings of depression, anger, and anxiety. Some argue that sleep loss leads to heightened emotional reactivity. Much like Tripp, who lashed out at his friends at the smallest inconvenience, sleep deprived participants in one study experienced greater stress and anger than rested control participants when asked to complete a simple cognitive test. Brain imaging methods reveal why sleep deprivation can lead to irrational emotional responses. 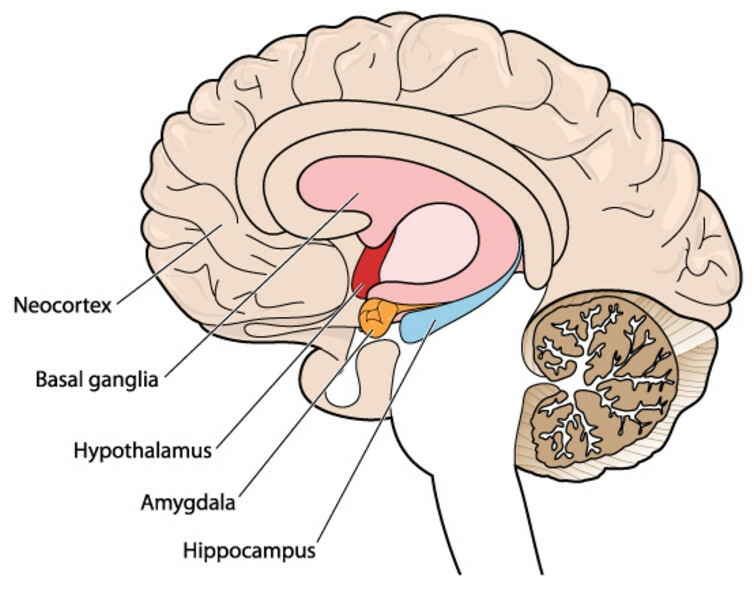 The amygdala, an area deep in the brain, is our emotional control centre. When sleep deprived participants were shown emotionally negative images, activity levels in the amygdala were as much as 60% higher than levels in those who were rested. The researchers also looked at how different brain areas were connected in these participants. They found that sleep deprivation had disrupted the connection between the amygdala and the medial prefrontal cortex. This was a critical insight as the the medial prefrontal cortex itself regulates amygdala function. Sleep deprivation appears to cause the amygdala to overreact to negative stimuli because it becomes disconnected from brain areas that normally moderate its response. Casino owners have known for years that tired gamblers make risky decisions. The bright lights, noise, and lack of windows are designed to stop you from noticing the passage of time. In 2011, researchers at Duke University asked participants in a gambling experiment to improve each of several gambles. They could choose to do this by increasing the size of the highest possible gain, decreasing the size of the worst loss, or improving the probability of winning. When participants had been deprived of sleep for just one night, they started do make fewer decisions that avoided loss, and more decisions that maximised potential gain. In other words, sleep deprivation made their gambles riskier and more optimistic. This change in risk taking behaviour was accompanied by changes in activity in brain areas that evaluate negative and positive outcomes. Another area of the brain that suffers dramatically from sleep deprivation is the hippocampus. This is a region critical for the storing of new memories. 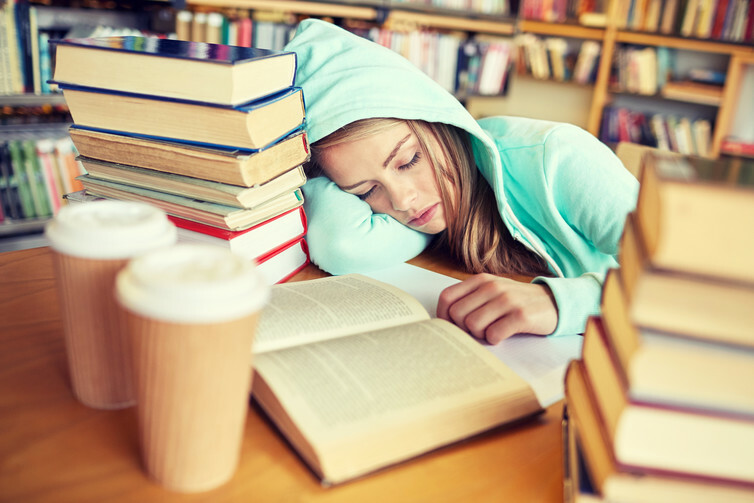 When people are deprived of sleep for even one night, their ability to memorise new information drops significantly. This was shown in one study to be due to an impairment in the hippocampus caused by sleep deprivation. When memorising a set of pictures, sleep deprived participants showed less activation in the hippocampus compared to rested participants. This deficit in the hippocampus could be caused by sleep deprivation reducing its ability to write in new information. Alternatively, the hippocampus may need sleep to move new information to be stored in other areas of the brain. In this case, lack of sleep may cause the storage capacity of hippocampus to fill up, preventing new information from being stored. The story of Tripp has an unhappy ending. Shortly after his wakeathon his marriage broke down, and he eventually lost his job and career in radio. In 1964 his record was broken by Randy Gardner, a high school student from San Diego, who managed to remain awake for 264 hours. Tripp’s later troubles however are unlikely to be connected to his sleep deprivation as Gardner and others who later tried to beat the record did not report similar long-term detrimental effects. Nonetheless, there are lessons to be learned from Tripp’s experience and from the latest discoveries in sleep science. Many people aren’t getting enough sleep as people sacrifice rest time to work, especially on devices which emit blue light. This light makes falling asleep more difficult, further eroding the quantity and quality of sleep. We need to rediscover the value of sleep and appreciate the benefits it brings to our brains. Time spent sleeping is an essential investment towards being smarter, making better decisions, and leading a happier life. So get snoozing.